Celesteion™ PUREViSION Edition PET/CT is MITA XR-29 Smart Dose Standard compliant and incorporates comprehensive dose controls that include Adaptive Iterative Dose Reduction 3D (AIDR 3D) to automatically lower dose. 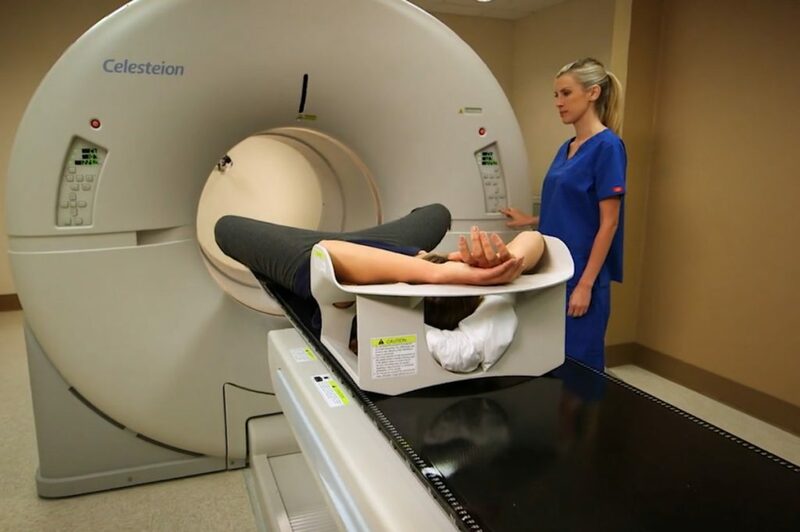 It’s easy and safe to position your patients on the Celesteion™ PUREViSION Edition PET/CT: with a gantry opening of 90 cm, the widest couch in the industry of 47 cm’s, and the ability to lower the couch to almost 12 inches or 30 cm from the floor. Using external laser lights, foot pedals and or side gantry controls to efficiently position this patient within isocenter on the Celesteion™ PUREViSION Edition PET/CT bore. 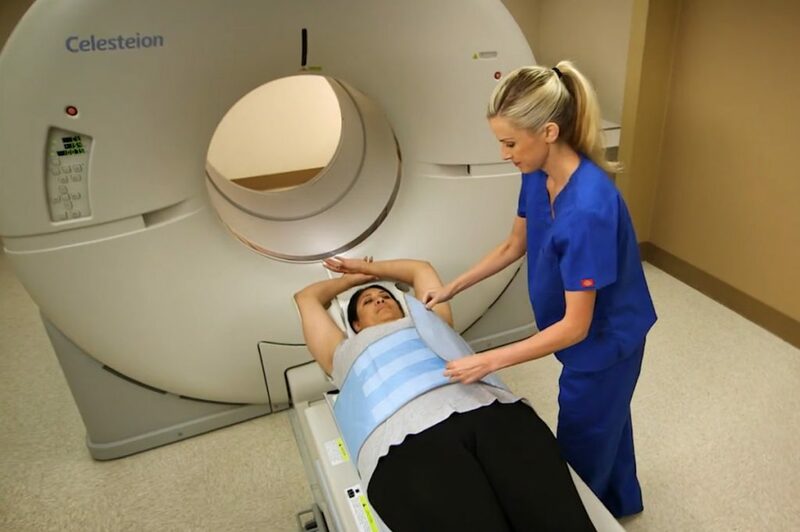 The large bore of Celesteion™ PUREViSION Edition PET/CT gives patients the feeling of openness and can improve their comfort or stress that having theses exams may create. The technologist then selects the patient from the modality work list and the whole body PET/CT protocol. The Celesteion™ PUREViSION Edition PET/CT was designed with your patient in mind. The patient friendly features allow you to comfortably utilize a variety of positions and positioning aids that may not be available for use on systems with smaller openings. The Celesteion™ PUREViSION Edition PET/CT system combining high performance PET and CT provides you the performance and versatility for both your radiology and radiation oncology and CT Simulation needs.